This skull belongs to a semi-aquatic carnivore, the sea otter Enhydra lutris. 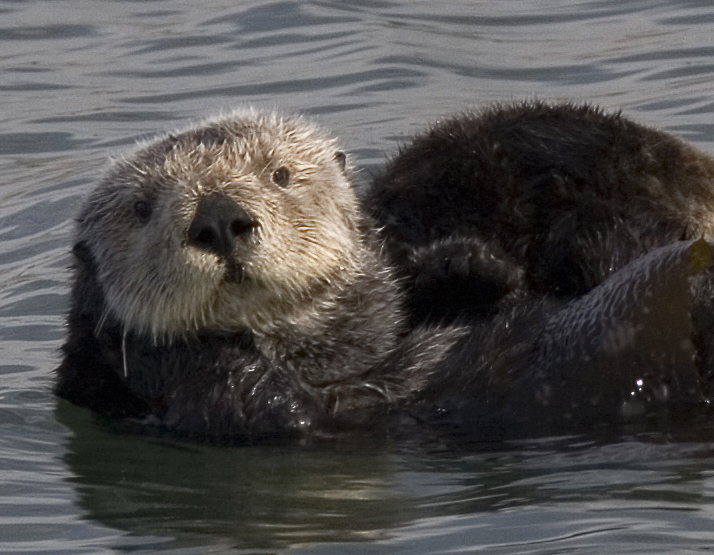 Sea Otters are a species of marine mammal and are the largest member of the weasel family. They live near the shoreline feeding on sea urchins, molluscs, crustaceans and fish. These animals are one of the few species of animals that use tools as they use rocks to crack open the shells of their prey. Sea Otters are one of the few marine mammals that do not have a layer of blubber to protect themselves from the cold water, instead they fluff their thick fur to trap an insulating layer of air within similar to styrofoam.